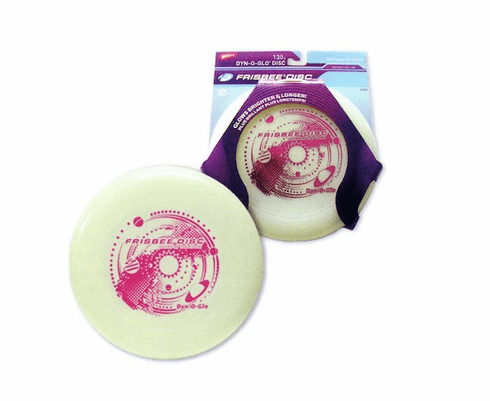 Dyn-O-Glow makes this Frisbee glow brighter and longer in the dark! 130 grams and a new gold hot stamp! Ages 5 and up.